Unique opportunity for subdivision in downtown Leesburg! 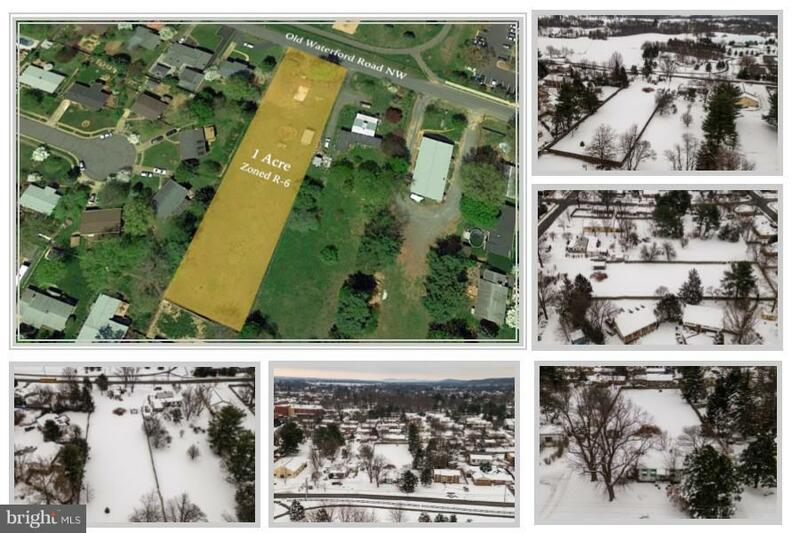 Full 1 acre lot with R-6 zoning ... potential for dividing into 6 lots. Great opportunity for an investor, developer or small family subdivision. Property on public sewer with private well. Public water available at the street. Existing structure is a teardown, newer shed on the property does not convey. Inclusions Tear Down Structure. Well. Zoning Description Residential Potentially Sub Dividable into 6 Lots. Above Grade Fin SQFT 845 Basement None Below Grade Finished Area 0 Below Grade Unfinished Area 0 Building Area Total 845.00 Exclusions Shed Fireplaces Total 0 Inclusions Tear Down Structure. Well. Assessment Year 2018 Association YN No Central Air YN No Condo YN No Construction Completed YN No Current Use Residential Historic YN No Incorporated City Name Unincorporated Lease Considered YN No Navigable Water YN N New Construction YN No Original MLSNumber 301303257339 Ownership Interest Fee Simple Possession Settlement Property Sub Type Land Sale Type Standard Sewer Public Septic Tax Annual Amount 2810.0 Tax Assessment Amount 259000.0 Vacation Rental YN No Water Source WellPublic Hook-Up Available Zoning R-6 Zoning Description ResidentialPotentially Sub Dividable into 6 Lots.